This year Pittsburgh’s Jewish community can take an extra measure of hometown pride in the annual observance of Israel’s independence: In addition to being the year of Israel’s 68th birthday, 2016 marks the 20th anniversary of The Burgh’s sister-city relationship with Karmiel-Misgav, in Israel. To mark both occasions, the Jewish Federation of Greater Pittsburgh’s Partnership2Gether (P2G) program will offer Israel Week, May 8–15. Comprising dozens of activities to be offered in multiple locations in Pittsburgh and beyond, Israel Week will give Pittsburghers of all ages opportunities to learn, eat, dance and create with special guests, many from Israel. Israel Week will comprise both Yom Hazikaron, the worldwide day of remembrance dedicated to those who gave their lives for Israel, and Yom Ha’atzmaut, Israel’s independence day. Partnership2Gether, a program of the Jewish Agency for Israel, pairs Diaspora communities with Israeli communities. Worldwide, 500 communities participate. For the last 20 years — through Partnership2Gether, coordinated locally by the Jewish Federation of Greater Pittsburgh — Pittsburgh has had a sister-city relationship with the Israeli city of Karmiel and the region surrounding it, Misgav, in the Central Galilee. Yom Hazikaron observance, Tuesday, May 10, 8 p.m., Alex and Leona Robinson Building, Katz Theater. The somber remembrance will include the participation of a delegation of Israeli war veterans, whose presence is sponsored by American Friends of Israel War Disabled; the Karmei-Machol Dance Troupe, a young-adult ensemble from Karmiel-Misgav; and the Pittsburgh chapter of the HaZamir Choir. Yom Ha’atzmaut celebration, Thursday, May 12, with activities scheduled at various times 4–9 p.m., throughout the JCC facility. In addition to presentations by many of the special guests whose descriptions follow, Yom Ha’atzmaut will offer games, a bounce house, crafts and more in the gym of the Irene Kaufmann Building. A shuk (food court) will provide refreshments for purchase in the Palm Court, Kaufmann Building. (Dietary laws observed.) A petting zoo will be outside the Robinson Building. Monday, May 9, at Temple David (Monroeville), noon — a Lunch and Learn event. Saturday, May 14, at Temple Sinai (Pittsburgh), 11:15 a.m. — following minyan, Rabbi Rosenstein will speak at an extended oneg. Wednesday, May 11, at Rodef Shalom (Pittsburgh), 7:30 p.m.
Sunday, May 15, at Beth El Congregation (Scott Township), 10:15 a.m. — a Brunch and Learn event. Monday, May 9, at Temple Emanuel (Mt. Lebanon), 7:15 p.m.
Sunday, May 15, Temple David (Monroeville), 10 a.m. 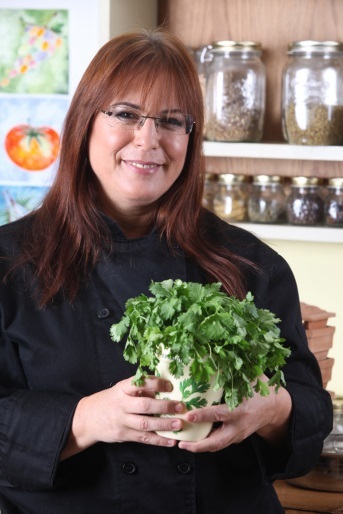 Chef Carmit Elkayam will present “Magical Mixings: Healthy Israeli Cuisine,” a cooking demonstration and tasting. (Dietary laws observed.) Video screens at the event — Monday, May 9, 7 p.m., at Beth Shalom (Pittsburgh) — will help attendees follow the action. In addition, Ms. Elkayam will offer brief demonstrations during the community-wide Yom Ha’atzmaut celebration. Internationally known storyteller Peninnah Schram— professor emerita at Yeshiva University’s Stern College, New York City — will share Jewish tales Thursday, May 12, at the Yom Ha’atzmaut event. 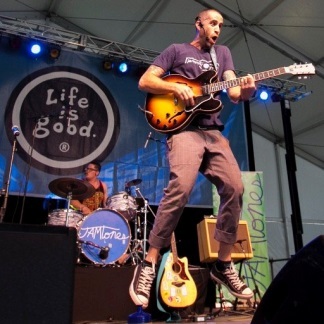 Boston-based band Josh & the Jamtones, a roots-reggae group, will present a high-energy, interactive concert Thursday, May 12, 5:30 p.m., at the community-wide Yom Ha’atzmaut celebration. The concert, for families with young children, is co-sponsored by PJ Library and Shalom Pittsburgh. Most Israel Week activities are free; some require registration. All are open to the public. Details of the complete schedule and an online registration form are available at www.jfedpgh.org/israelweek. Information about Israel Week is also available from Eric Probola at 412.992.5247 or eprobola@jfedpgh.org. Rabbi Marc Rosenstein, Ph.D., is the past executive director of the Galilee Foundation for Value Education, a nonprofit organization active in the fields of Jewish-Arab cooperation and Jewish pluralism. In addition, he served 2009–2015 as director of the Israel Rabbinical Program of Hebrew Union College–Jewish Institute of Religion (HUC-JIR) in Jerusalem. Since 2001 his online post, Galilee Diary, has appeared regularly on the Union for Reform Judaism website. A native of suburban Chicago, Rabbi Dr. Rosenstein earned his doctoral degree in modern Jewish history from the Hebrew University of Jerusalem. He was a high school teacher and principal in Jewish day schools in Chicago and Philadelphia before making aliyah (moving to Israel) to Moshav Shorashim, in Misgav, in 1990. 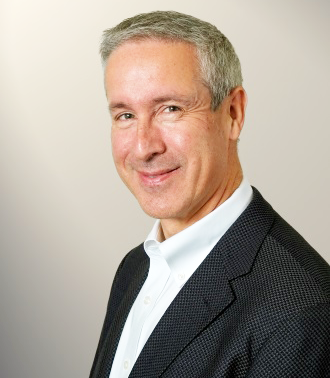 Rabbi Danny Schiff, Ph.D., has written extensively on Jewish law and ethics. A native Australian, he earned his Doctor of Hebrew Letters degree from HUC-JIR. In addition, he holds a Master of Arts in museum studies, and he lived in Jerusalem for six years while working on a new Jewish museum concept. In the Pittsburgh area, Rabbi Dr. Schiff served as the Agency for Jewish Learning Community Scholar and was rabbi of Temple B’nai Israel, White Oak. He currently serves as Jewish Community Foundation scholar. 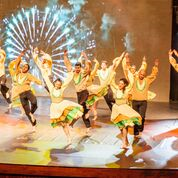 The Karmei-Machol Dance Troupe, represented in Pittsburgh during Israel Week by a delegation of nine young adults, offers an athletic combination of Israeli folk dance and modern choreography. Most ensemble members have been performing since their early teen years. Several have participated in the world-famous Karmiel Dance Festival, and some have appeared on stages in China and Cypress. After the 7:30 p.m. performance May 12, Yom Ha’atzmaut attendees will be able to join Karmei-Machol members in Israeli folk dancing. Chef Carmit Elkayam will help Pittsburghers explore the diverse traditions that compose Israeli cuisine and show how to combine styles, colors and tastes to optimize nutrition. 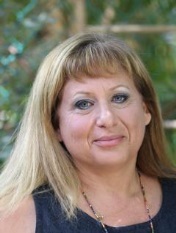 Ms. Elkayam, author of “Roasted Figs and Red Lentils: Food That Makes a Difference,” is a graduate of The Natural Gourmet Institute for Health and Culinary Arts, New York City. A resident of Pittsburgh’s Partnership region, Misgav, and a contestant on “Mischakei Hachef” [Chef Games], Israel’s on-TV chef competition, she works in Israel as a private chef and culinary teacher. 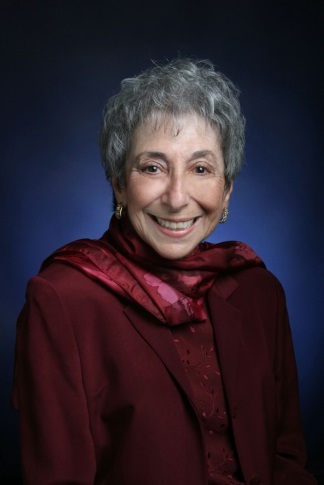 Peninnah Schram — professor emerita at Stern College of Yeshiva University, New York City — is an internationally known storyteller, teacher, writer and recording artist. She has authored 13 books of Jewish folktales, including “Jewish Stories One Generation Tells Another.” When asked to describe the power of Ms. Schram’s in-person delivery, Jane Yolen (author of Holocaust novella “The Devil’s Arithmetic”) replied, “When Peninnah Schram tells a story, even the leaves on the trees stop trembling to listen.” Ms. Schram is the recipient of the prestigious Covenant Outstanding Jewish Educator Award (1995) and the National Storytelling Network’s Lifetime Achievement Award (2003). Artist Daniela Shacham Sarig helps fellow artists and art novices reduce self-criticism, increase self-expression and enhance enjoyment of the creative process by leading workshops that employ an intuitive technique. Ms. Sarig studied this technique with Dr. Pinkie Feinstein, the founder of the Psycho-Creative Institute, Tel Aviv. In addition, Ms. Sarig studied art at the De Anza College in Cupertino, California, and specialized in drawing and painting at the Israel Hirschberg Studio of the Jerusalem Studio School. The Jewish Federation of Greater Pittsburgh, one of 151 independent Federations associated with The Jewish Federations of North America, raises and allocates funds to build community locally, in Israel and around the world. With the vision of a thriving, vibrant and engaged Jewish community, the Jewish Federation of Greater Pittsburgh aims to carry out its work in the context of cooperation and inclusiveness. For more information, visit www.jfedpgh.org. The Jewish Agency for Israel (JAFI) serves as the main link between the Jewish state and Jewish communities everywhere. This global partnership has enabled JAFI to address Jews’ greatest challenges in every generation. Today, JAFI connects the global Jewish family by providing meaningful Israel engagement and facilitating aliyah. JAFI’s many projects energize young Israelis and their worldwide peers to rediscover a collective sense of Jewish purpose. JAFI also serves as the Jewish world’s first responder, prepared to address emergencies in Israel and to rescue Jews from countries where they are at risk. For more information, visit www.jewishagency.org.